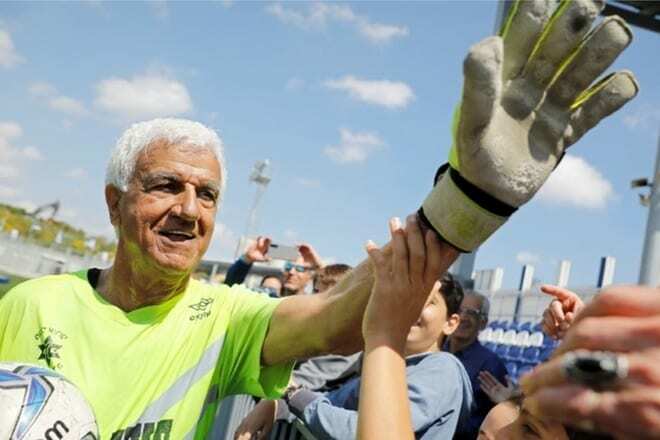 Oldest footballer in the world – A 73-year-old Israeli footballer has set a new world record. Isaak Hayik, goalkeeper for Ironi or Yehuda, who operate in the fourth-tier of Israeli football, played the full 90 minutes against Maccabi Ramat Gan on Friday 5 April 2019. His team lost 5-1 but he left with a space in the sport section of this year’s Guinness World Record book, receiving his official prize after the match. Hayik spoke highly of achievement and even said he was “ready for another game”, telling Reuters news agency: “This is not only a source of pride for me but also to Israeli sports in general,” with one of his sons, 36-year-old Moshe Hayik, calling his father’s achievement “unbelievable”. Hayik beat the record held by Uruguayan Robert Carmona who was started a match for Pan de Azucar aged 53 in 2015. At the time, Carmona also wanted to become the oldest footballer to ever secure an international transfer, although that desire never came to fruition. Essam El Hadary became the oldest player to play at a World Cup aged 45 when Egypt faced Saudi Arabia in Russia, while Kazuyoshi Miura, Japan’s second-highest goalscorer, holds the title of oldest professional footballer to score a competitive goal. Miura broke Sir Stanley Matthews’ record in 2017 for Yokohama FC ‘s 1-0 in J-League 2 fixture, beginning his career way back in 1986, winning the last of his 89 caps for Japan 19 years ago. For more on unusual sporting achievements, read more about 10 of the best multi-sport athletes by clicking here.